Today, thanks to modern medicine, there are more survivors of breast cancer than ever before. Each year, more advances are made in breast cancer treatments and there are around two million survivors of the disease in the United States alone. The prevalence of breast cancer today is a product of extended lifespan, but the disease was recorded centuries ago. Today, there are many different treatments for breast cancer, most very effective and more research is being conducted into the treatment of this and other types of cancer every year. There are two main goals that doctors are attempting to accomplish with whatever type of breast cancer they are treating, or whichever type of treatment that they recommend. Obviously, the first and most important goal is to get rid of any of the cancerous cells that are in the body. This can be done in a variety of ways, most notably by surgically removing the cancer and then either with a combination of chemo or radiation therapy or with chemotherapy solely in some cases. The second task that doctors have is ensuring that the breast cancer does not return to the body. 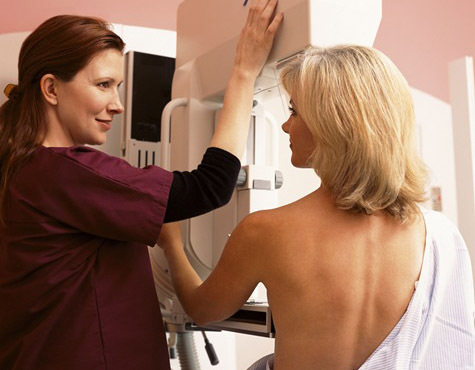 Generally speaking, there are two types of breast cancer treatments. These treatments may be used separately, or combined with one another for maximum effectiveness, depending upon the type of cancer, the specific location and the severity, as well as the risk to the patient. The first type of treatment of breast cancer is the local treatment, which goes to the source of the cancer and attempts to remove it. The second type of cancer treatment covers a wider area, and is known as systemic, or relating to the entire system. Surgery is a very common type of local cancer treatment. There are two main types of surgeries performed to remove breast cancer from victims. One is the mastectomy and the other is the lumpectomy. Each variety has different subtypes, but generally a mastectomy is used in cancers that are very advanced where the breast or a portion of the breast must be removed in order to remove the cancer. A lumpectomy is a surgery that attempts to preserve the breast as much as possible, removing just the cancerous growth or the lump from the breast rather than the breast itself. It is usually performed for smaller tumors that can be easily separated from the surrounding breast tissue. If the breast cancer is invasive the surgeon might also remove one or several lymph nodes to prevent the spread of the cancer in other areas of the body. Chemotherapy is a systematic breast cancer treatment that uses powerful drugs to kill the cancer cells. There are many side effects associated with this type of treatment, including hair loss and fatigue as well as susceptibility to disease and lowered blood count. Another type of therapy used in the treatment of breast cancer is hormone therapy, with different therapies used depending upon whether the patient has undergone menopause or not. Hormone therapy prevents the cancer cells from growing after the surgery has been performed by inhibiting the production of a certain hormone, especially estrogen. Biological therapy or Targeted therapy includes different types of drugs such as Herpectin or Tykerb. This drugs work by targeting specific proteins of the cancer cells so they can be than recognized and destroyed by the body’s immune system. Different type of targeted drugs can cause different type of side effects, and they may also differ from person to person. Your doctor may use one or many of these treatments in order to determine the best breast cancer treatment for you, or may recommend even more advanced treatments and therapies not listed here, as they are becoming available all the time.